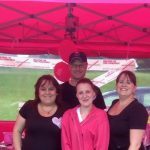 I was working at a part time job before AVON and they started to want me to work more hours, which I couldn’t handle as I had a child out of school at the time that I needed to look after. So I decided to look into finding a job that would fit around my life and that job turned out to be Avon. 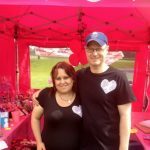 After a couple of weeks of starting at AVON I became very ill with a virus infection so my husband Stephen stepped in to help me, which he really enjoyed doing and not long after he joined AVON too. At the same time we were getting really short of money so I started looking in to sales leadership to boost my income, Zoe Davies my up liner came to my house and explained to me all about sales leadership and how to succeed in it. 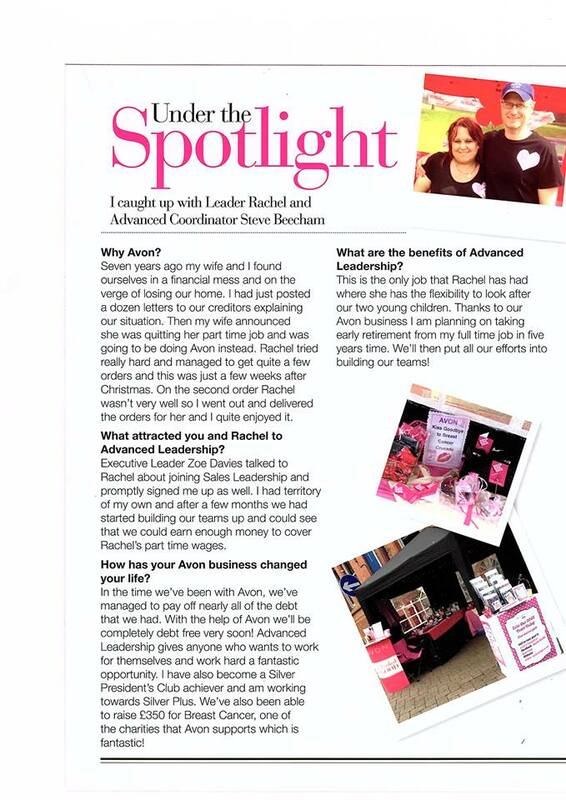 Within a week of asking I became a sales leader and started to build my own team of representatives and expanding my business, I recruited my reps by going out asking in public, door knocking in local areas and posting on social media that is the reason I love AVON as it is so flexible and the more hours you put in the bigger the increase in your income. I love Avon products anyway so selling them was a great way of making money for my family, the variety is huge we no longer just sell Make-up we sell Clothes, Toys, Jewellery, After shaves, Perfumes and so much more. I now have a big round to do which involves, dropping books, picking up books and delivering orders which is always good to do as we have wonderful customers, most of them are still the same as when we first started and a lot of them I call Friends. I love delivery days where we sort all the customers orders out and make them up ready for delivering them, also having the chance to look at all the new products that AVON regularly brings out in each campaign, reps also get to see the 1st look book which we can have a look at all the new products that are coming out before the books are released. Over the past 8 years with AVON I have built a great team of reps 1 of which is my son and also sales leaders 1 of which is my Husband which is good to have as we spend more time together as a family, also many of my sales leaders have there very own teams now too. 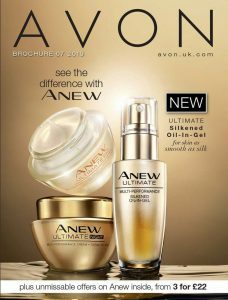 I just love the fact that AVON works around me and my family, if you need to increase your earning even more you can just take more books out to your local area and get more customers or you can now have your own online shop which your customers can order from you online which is easier if you have further to reach places. 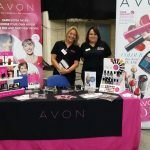 I do not think I could ever work in any company other than AVON now, when we first started we owed a lot of money to banks and catalogues, we also nearly lost are house at one point, but due to my ill health and needing to look after my son I was unable to work in a full time job. 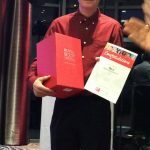 But thanks to AVON I was able to look after my son, look after my own health while working at the same time, now we have nearly cleared all the debts also paid are mortgage on the house, now I am looking forward to having holidays abroad with my family this year, I could of never done this without AVON.